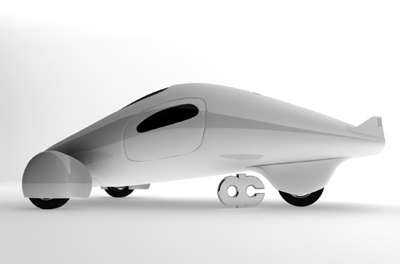 Accelerated Composites LLC. based in Carlsbad, California, was a small engineering company providing microelectronic solutions and composites for private manned space programs. 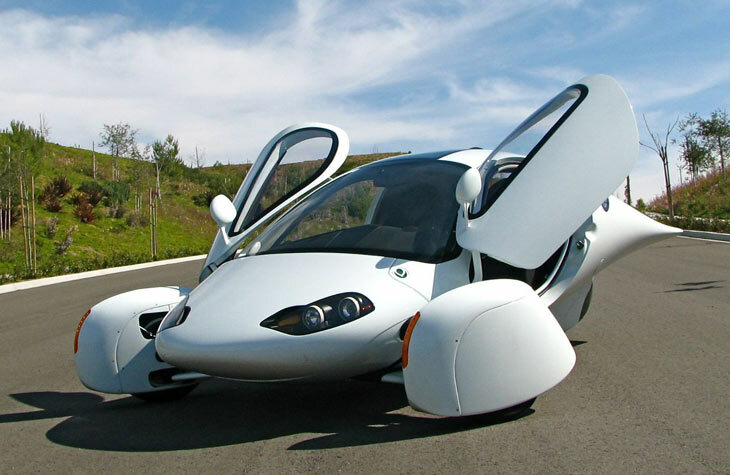 By using their novel, low cost composite manufacturing methods, Accelerated Composites - later Renamed Aptera - intended to produce a 330 mpg, ultra-efficient, two seat, hybrid vehicle. 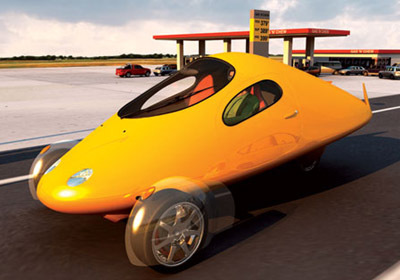 Called the Aptera, the concept was powered by a 12 hp diesel engine and a 25 hp DC electric motor, running though a automatic CVT transmission. All of this was hidden by the Aptera's slippery bodywork, which boasts the lowest drag coefficient of any production car. Designed for maximum efficiency, the Aptera's aesthetics have suffered slightly, but then again that's not what this car's about. And while form was compromised, safety was not. 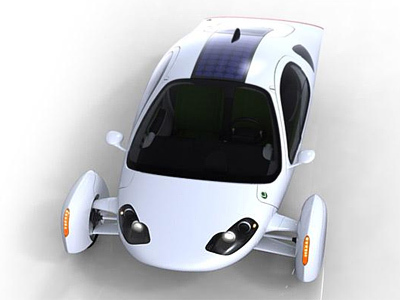 The Aptera features a driver protection "crash box" similar to those found in Formula One race cars. 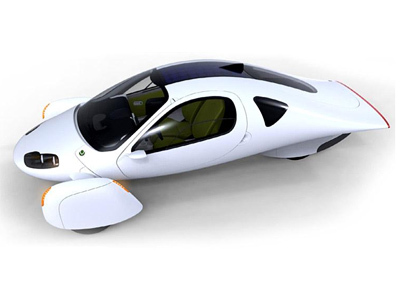 All in, the Aptera weighs just 385 kg (850 lbs) allowing it to achieve a slow, but acceptable, 0-60 time of around 11 seconds and a limited top speed of 95 mph. 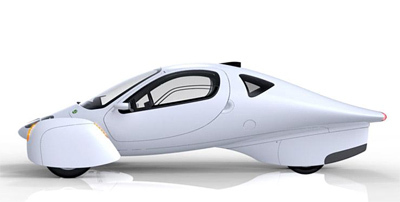 Legally the Aptera is not actually a car, the vehicle is registered as a motorcycle. 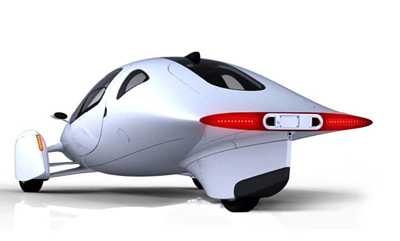 Unfortunately even thought the Aptera was developed in California, the diesel engine fails to meet the strict emissions standards California has in place. Because of this, the diesel engine was to be replaced with an economical gasoline fueled engine for this market. 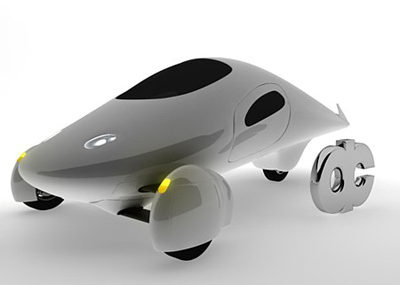 Unfortunately Aptera failed to make the vehicle viable economically. In 2011 the company went into liquidation, and refunded the deposits it had taken from a number of potential buyers in California.